Recently, Solanum elaeagnifolium (Solanaceae) has been recorded for the first time in Bulgaria. It was found on 01.09.2015 in the Valley of the River Struma floristic region, along the road from Sandanski to Petrich towns, 41.49422°N, 23.26927°E, ca. 95 m a.s.l. A dense group with an area of ca. 10 sq. m was observed in flowering stage. The species is native to Central America – Mexico and USA, and has been introduced and naturalised in four continents. Inferring from its current occurrence in Bulgaria, it may be assumed that the taxon has been introduced recently, and is likely to naturalise and spread further due to its invasive traits and suitable environmental conditions in the region. In Europe, the species occurs in the Mediterranean parts. In the Balkans, it has been recorded in Croatia, Cyprus, Greece, R. Macedonia, Montenegro and Serbia. 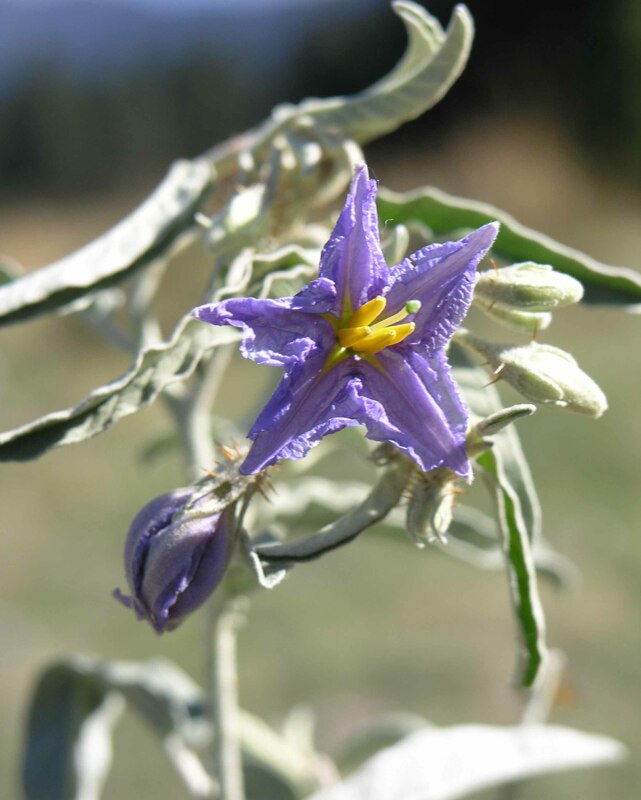 Solanum elaeagnifolium occurs in cultivated land, orchards, managed grasslands and associated man-made habitats, natural grasslands, riverbanks, canalsides, rail/roadsides and wastelands. It is considered one of the worst invasive alien plants worldwide.